The Pikake Concert model has all the same features as a regular Concert Ukulele and comes with a satin finish. * Please be aware that, because the ukuleles are made of natural materials, the darkness, grain, and pattern on the wood will not be the same as displayed in the photos. 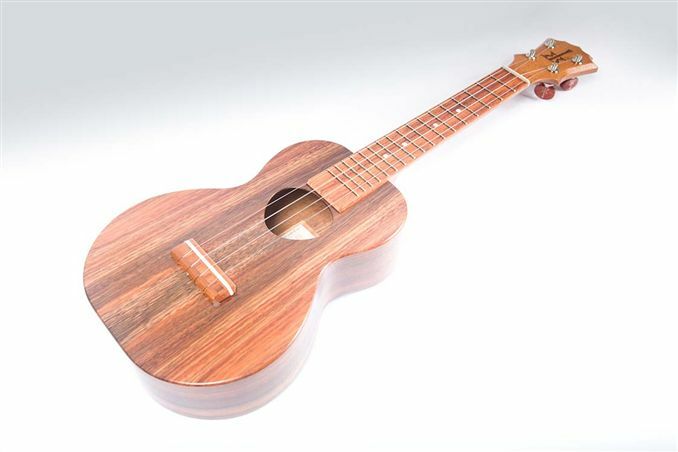 *Since the Ukulele is handmade, it normally takes around 6 to 8 weeks to manufacture from the time of the order.